For many families, displaying their patriotism on the Fourth of July is a huge priority. 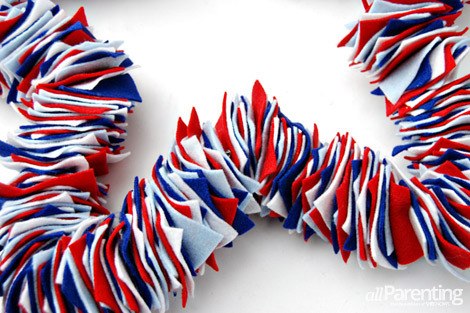 What better way to show off your patriotic spirit than with a Fourth of July wreath on your front door! A wreath makes a wonderful front door decoration for any holiday, but the perfect wreath doesn't have to be round! 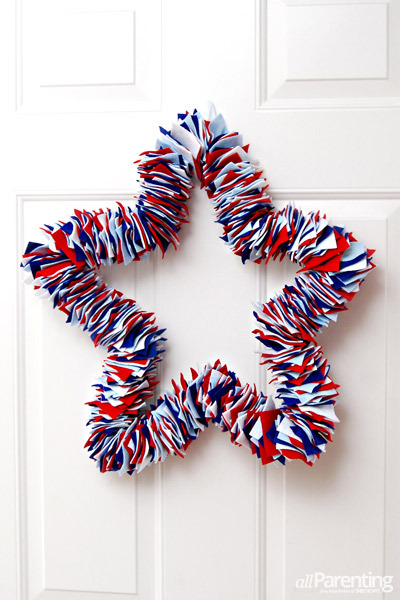 You can make an adorable star-shaped wreath that's the perfect patriotic decoration for the Fourth of July. 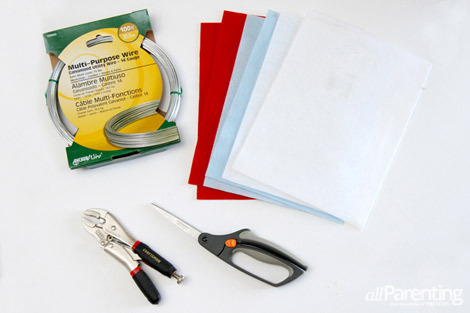 Use the pliers to start bending the wire to make your wreath form. 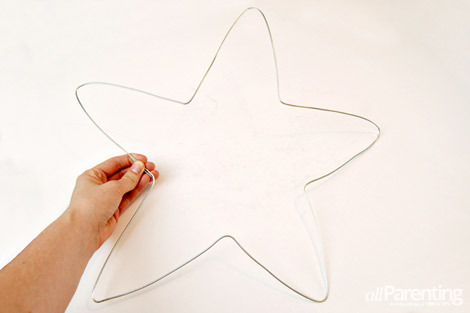 Bend the wire so that it forms a star shape, and then use the wire cutters to cut away any excess wire. Don't worry if the star shape is not exactly perfect. Any imperfections won't be noticeable in the end. 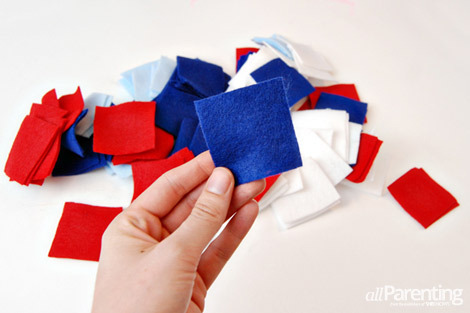 Cut the felt into 2-inch squares. 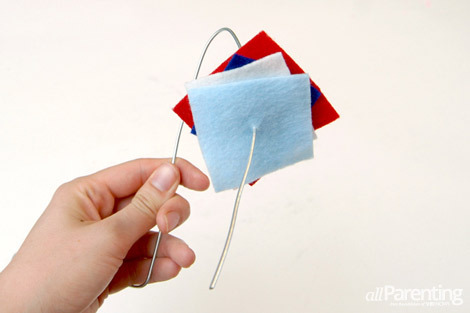 Poke a hole in the felt with the wire and feed the felt squares onto the wire. 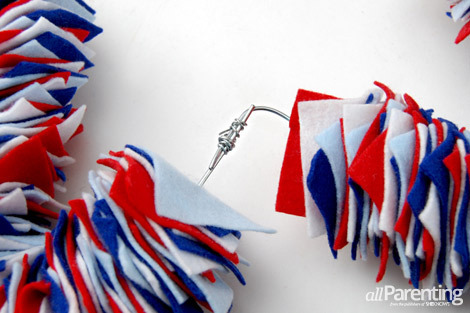 As you add the felt squares to the wire, be sure to alternate colors. 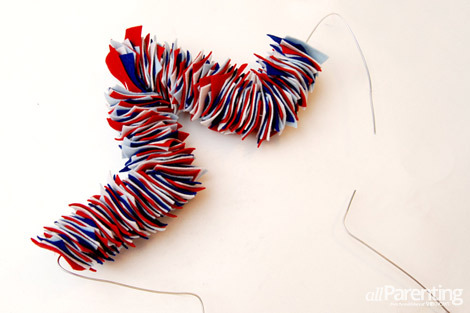 Fill the wreath form with felt squares until you have approximately one inch of wire left on each end. 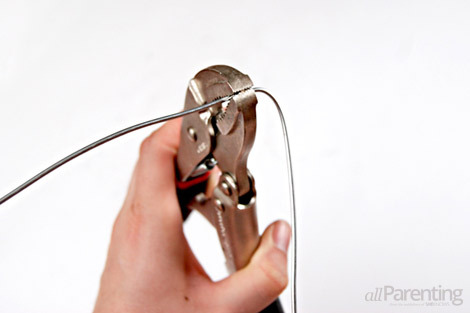 Cut a small piece of wire with the wire cutters and wrap it around the loose ends of the wreath form. 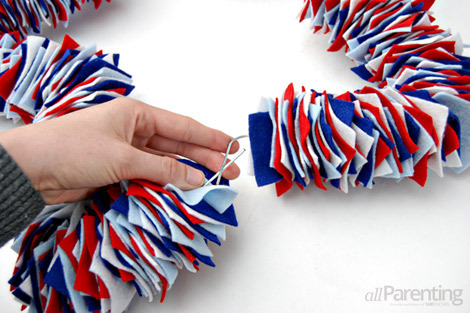 Slide the felt squares together so that they hide the spot where the two ends join together and your wreath is ready to hang!